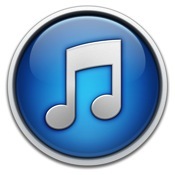 During its financial results call covering the fourth fiscal quarter (third calendar quarter of 2014), Apple shared details on the success of its iTunes Store, which has become an increasingly important revenue source for the company in recent years, mainly due to the ever-growing popularity of the App Store. $4.6 billion in revenue marks Apple's most successful iTunes quarter ever, up $2 billion from last year, and its $18 billion in revenue for 2014 is $2b higher than last year's $16 billion in total iTunes revenue. According to Apple CEO Tim Cook, Apple hit an all time high in App Store revenue, with growth of 36 percent compared to Q4 2013. Apple has seen cumulative app downloads of 85 billion, up 10 billion since July. Along with "tremendous" growth in the App Store, the iTunes Store saw all-time record billings, up 22 percent year over year. Overall, Apple posted revenue of $42.1 billion and a net quarterly profit of $8.5 billion, or $1.42 per diluted share, compared to revenue of $37.5 billion and net quarterly profit of $7.5 billion ($1.01 per diluted share) in the year-ago quarter. Year over year net profit is only up13% and they're not even averaging $3B net profit/month. Pfft. May as well shut down operations.